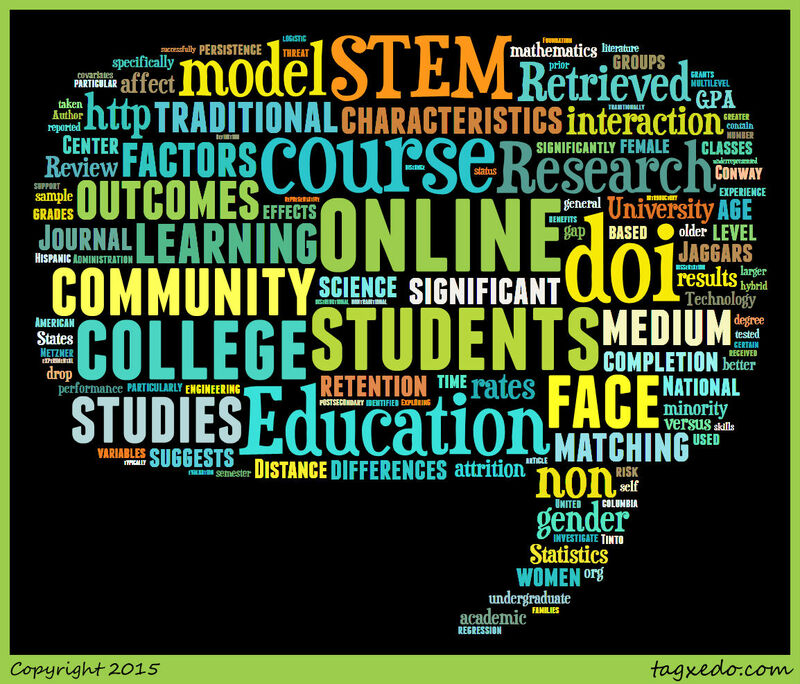 Article Summary #15: The Online STEM Classroom--Who Succeeds? Citation: Wladis, C., Conway, K. M., & Hachey, A. C. (2015). The Online STEM Classroom--Who Succeeds? An Exploration of the Impact of Ethnicity, Gender, and Non-Traditional Student Characteristics in the Community College Context. Community College Review, 43(2), 142-164. Summary: This study examined a data-set of 3600 students to understand how their performances in online and F2F STEM courses at Northeast Hispanic-serving community college to determine what factors (gender, ethnicity, and non-traditional student characteristics) correlate with the attrition gap. They particularly targeted online and F2F courses taught by the same instructor to control for course and instructor variance. 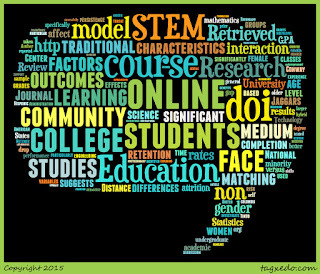 The analysis suggested several points about online STEM courses: men and older students do better than females and younger students, there was no significant correlation between ethnicity and success in online courses, and students exhibited different levels of success among the types of STEM courses (students fairing worse in math, computer science, and physical science than health and life sciences). When comparing performances in online vs F2F courses, they found: the success rate drops twice as much for women than men in the online environment, no difference in age-based success in F2F courses was present, but older students fair better, and though African-American and Hispanic students did significantly poorer in STEM courses in F2F courses, this gap was not widened in the online environment. Other facets such as full or part time enrollment, financial aid beneficiaries, GPA or prior online experience did not predict performance differences in online and F2F courses. The authors advocate for more research into understanding why and how students decide to take online courses and more effective advising and support for online students.